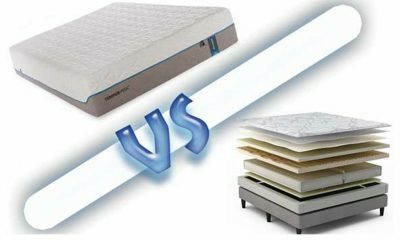 Nowadays, we are spoilt for choice when it comes to choosing and purchasing mattresses. Whether you decide to go for memory foam, traditional pocket springs or something a little more unusual, there are a wealth of different makes and models available. As mattresses evolve and modernize, so too does the way we purchase them. OUR TOP PICK:Looking for the most recommended mattress for every sleep position? Then take a look at the Nectar mattress, our top pick. This mattress is made from quality materials, provides excellent comfort and support and gives you incredible value for money. That’s why we chose it as our very best model for buyers on a budget. Let’s see what it offers. Nowadays, many mattress companies are choosing to sell their mattresses online. Some are long-established mattress brands that have been trading for many years, and choose to offer their customers a choice of shopping in a store or ordering a mattress by mail. However, many new mattress companies are choosing to do business exclusively online. This business model is appealing to mattress startups because it cuts down on their overheads. Therefore, they can also pass on some of these savings to the customer. While it may seem risky to opt for a mattress made by a relatively new company, in fact these can prove to be some of the best online mattress brands. 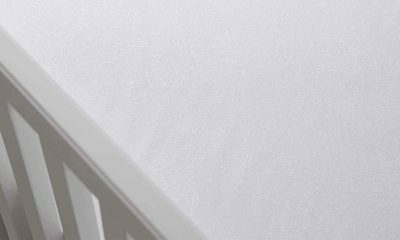 The truth is, if you want to buy a mattress online, the most important thing is to find a mattress that suits your needs as closely as possible. Nowadays, there are so many companies competing for your custom online. 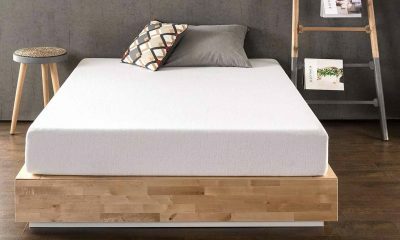 Whether you’re looking for the best online foam mattress, a pocket spring model or a cheap mattress online, you’ll certainly find you have plenty of choice. However, it can be hard to decide which company will be able to sell you the best new mattress over the internet. Here are the latest reviews of the 10 best online mattresses 2019. Nectar Sleep has truly earnt its place at the top of our online mattress company reviews. 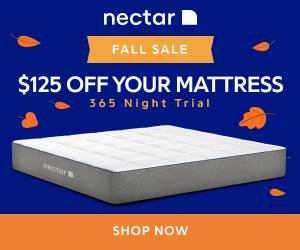 The Nectar Mattress is a gel memory foam mattress that provides a great level of support and comfort while you sleep. The mattress has received rave reviews from many customers who say that the level of comfort offered by the Nectar is unsurpassed. 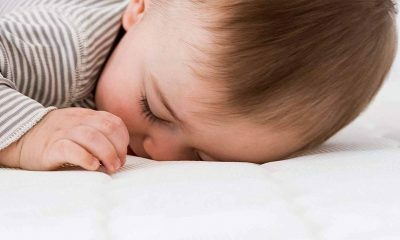 Nectar sleep have gone to great lengths to ensure that their mattresses are breathable. They’ve achieved this through the use of cooling gel and a breathable Tencel cover. Furthermore, with a 365-night sleep trial and a lifetime warranty, this means that you can rest assured that you can return the mattress should any issues arise. All things hybrid are bang on trend at the moment, and mattresses have proven to be no exception. 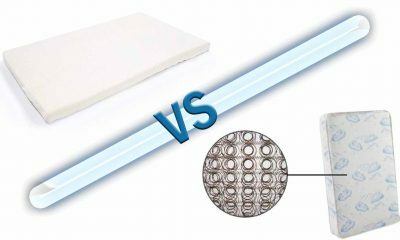 The Dreamcloud mattress has a pocket spring core with an upper layer of gel memory foam. Therefore, this is a good option if you like how memory foam adapts to your body shape but don’t want to give up the bounce and support of a more familiar spring mattress. The Dreamcloud comes with the prestigious Certi-Pur certification, which gives you the assurance that it will not emit any harmful substances while you sleep. This mattress also scores highly when it comes to coolness and breathability. Furthermore, a 365-night sleep trial and lifetime warranty give you peace of mind when buying the Dreamcloud online. Another mattress that deserves a place high on our online mattress company comparison guide is the Layla mattress. Of the online foam mattress companies, Layla is certainly one of the best. This mattress incorporates memory foam that’s been specially infused with copper. Why copper? Well, copper is fantastic at keeping mattresses at a cool and comfortable temperature and also helps to make the memory foam more supportive. The ancient Egyptians even believed that copper had healing properties, and some people continue in this belief today. 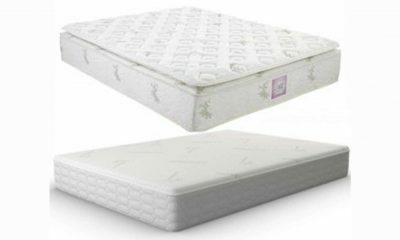 Layla have also included a convoluted foam layer within the mattress to allow greater airflow and breathability, so this is an excellent choice for those who tend to sleep hot. Furthermore, the Layla mattress comes with an 120-night sleep trial and a lifetime guarantee. When you’re shopping for the best delivery mattress, Bear Mattress should be one of the models that you definitely consider. So, why do we love it so much? 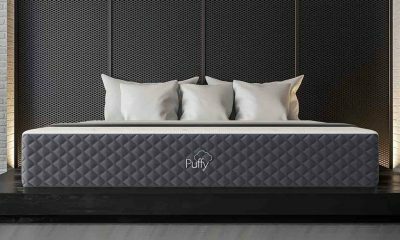 Bear sell two mattress models for you to choose from: the original Bear mattress made from graphite-infused memory foam, and the Bear Hybrid. This mattress is a hybrid mattress which uses a foam outer layer with a pocket spring core. Therefore, this may be a good option if you want the contouring abilities of foam but don’t want to give up the familiar bounce and support of a mattress made with springs. Bear mattresses are manufactured using something called Celliant technology, which improves your blood flow and oxygenation of your tissues while you sleep. Therefore, Bear say that their mattresses are particularly ideal for those with active and busy lifestyles because they help to aid recovery. 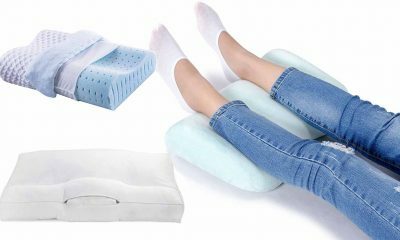 If you’re looking for a mattress to relieve pressure on your joints, then the Puffy mattress may be a good option for you. The mattress is specially designed to relieve pressure points and provide support to help reduce niggling aches and pains. Also, this mattress is best suited to those who sleep on their side or their back, which means it is suitable for the majority of sleepers. This mattress also includes a layer of cooling gel, which helps to keep the temperature of your bed at a comfortable level while you sleep. Furthermore, it’s Certi-Pur certified, making it a very safe and healthy bedding option. The Puffy Mattress comes with a 101-night sleep trial and a generous lifetime warranty. Finally, Puffy do great work for homeless children, donating mattresses to ensure that kids in need still get a great night’s sleep. Therefore, if this is a cause close to your heart, it’s yet another great reason to plump for a Puffy. Brooklyn Bedding manufacture 3 different mattress models and you can choose from all-foam or hybrid mattresses. Their mattresses are designed to be highly breathable and supportive, and come in a range of prices from affordable to luxury. All Brooklyn Bedding mattresses come with the Certi-Pur certification. This means that they are manufactured without the use of any harmful chemicals that could potentially damage your health. As another socially responsible online mattress manufacturer, Brooklyn Bedding also donate free bedding to young people and children in need. The mattresses come with a 120-night sleep trial and a 10-year warranty. Although not the longest we’ve seen, this is still a generous warranty length. Furthermore, Brooklyn Bedding also have showrooms based in Arizona and Utah, so depending on where you live it may also be possible to try one out in-store. The Novosbed mattress is made of high-quality memory foam. One of the major advantages of the Novosbed is its ability to contour to the shape of your body. 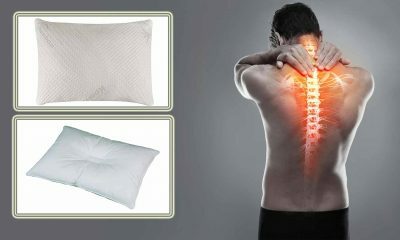 Therefore, this can help to reduce pressure on sore joints and provide a more comfortable night’s sleep. Also, this type of mattress helps to reduce motion transfer, so you will be less disturbed by your partner’s movements during the night. Another feature that makes the Novosbed stand out is a feature of their sleep trial called Comfort +. This is a free kit which you can request with your mattress which allows you to adjust the firmness of your mattress yourself. 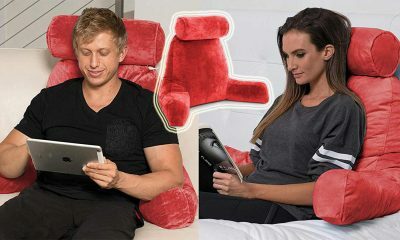 Therefore, you can fine-tune your bed so it is comfortable and supportive for your unique needs. The Novosbed comes with a 120-night sleep trial and a 15-year warranty. Idle Sleep manufacture and sell a range of mattresses, so everyone should be able to find an Idle mattress that suits their needs. One of the stand-out features of Idle Sleep mattresses is their dual-sided design. 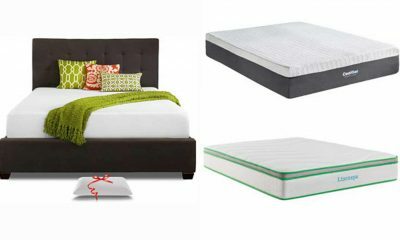 Unlike most hybrid and memory foam mattresses, these beds can be flipped and both sides can be slept on. 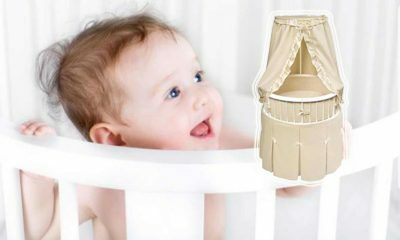 Therefore, this helps to prevent sagging and creates a longer-lasting mattress. Idle Sleep mattresses are also designed to be highly breathable and cooling, and provide a great level of pressure relief. All Idle Sleep mattresses come with a 120-night sleep trial, so you can send the mattress back if it doesn’t suit you. Furthermore, the mattresses all come with an impressive lifetime warranty. 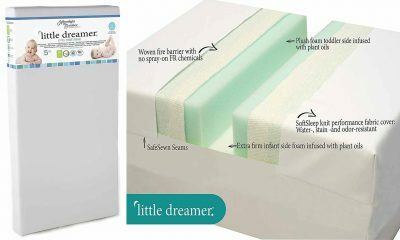 Plushbeds sell a range of high-quality latex and memory foam mattresses. They are made from materials that are as natural as possible, and the latex used in Plushbeds mattresses is certified organic. All their mattresses have been awarded the Greenguard Gold certification, which means that they have passed stringent testing procedures that assure you that they are free from harmful toxins. You can also purchase a range of toppers to complement your new mattress. 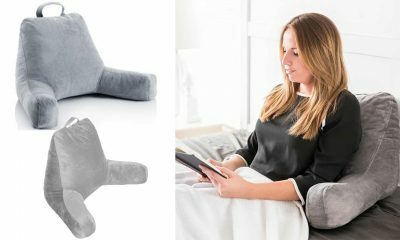 Plushbeds offer a 100-night sleep trial so you can make sure you are completely satisfied with your purchase. Also, all Plushbed mattresses come with a generous 25-year warranty period. Nest Bedding sell a range of mattresses online. What makes them stand out from the crowd is their commitment to producing and selling high-quality and comfortable mattresses at affordable prices. 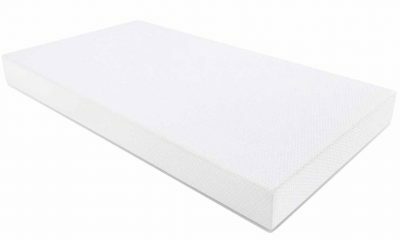 All foam used in their mattresses is manufactured in the USA and is Certi-Pur certified. Therefore, you are guaranteed that the mattresses will not emit any harmful chemicals that could damage your health. Nest Bedding provide a 100-night sleep trial on all their mattresses, and they also come with a lifetime warranty. If you want to try a mattress out in person first, this is possible if you live near enough to one of their USA-based showrooms. One of the great things about buying mattresses online is that you can find out what other customers have to say about them. Furthermore, there are a wealth of websites where you can find unbiased and honest expert reviews of the top rated online mattress models. Mattresses that are approved by consumers and experts alike are likely to constitute a good purchase. If you are looking for a particular feature, for example a mattress that helps with back pain, then you should look out for this factor when reading online reviews. 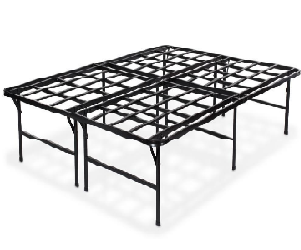 Mattresses that have extra edge support are made with reinforcement around the perimeter of the mattress. This means that you can sleep on the edge of the bed or sit on it without causing too much wear and tear. Edge support also helps the mattress to hold its shape for longer. Therefore, mattresses with great edge support should be highly durable and last you for much longer. So, edge support is an important feature to look out for when you’re online mattress shopping. Mattresses without enough breathability can hold body heat, and this can make sleeping at night seriously hot and uncomfortable. Therefore, it’s important to make sure that any mattress you buy is as breathable as possible before you commit if you want a comfortable night’s sleep. 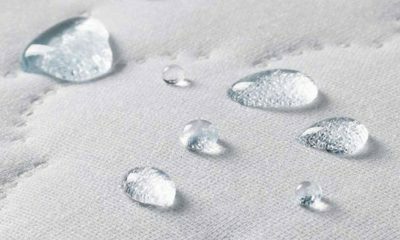 Many of the best rated online mattress companies use modern methods to keep their mattresses cool, including open cell technology and gel or graphite infusions. ome online mattress companies offer perks if you buy from them online. Although not completely commonplace, some mattresses that you can buy online now come with freebies such as free memory foam pillows or fitted sheets. If you find a mattress that suits your needs, why pass up on the opportunity for a free gift if you can get it? This is especially important if you suffer from back or joint pain. Everybody needs a good level of support from their mattress, but people who suffer from painful conditions need this even more. So, it’s important to look specifically at support when you’re making a comparison of online mattresses. 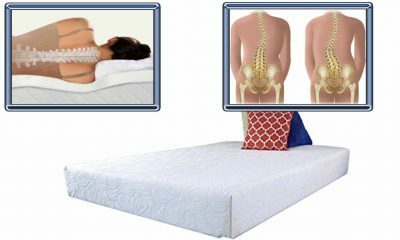 Some mattresses even offer extra ‘zoned’ lumbar support to help support bad backs. Poor support can exacerbate existing problems and can lead to aches and pains even if you’re in perfect health. If lots of reviews are complaining about inadequate support, it’s best to give the product a miss. When you’re looking for a mattress to buy online, one of your concerns may be the lack of opportunity to try before you buy. 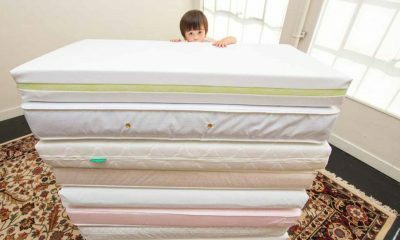 Therefore, it’s a good idea to look out for mattresses that come with sleep trial periods. This means that, if you receive the mattress and then discover that it doesn’t suit you, you can return it at any point within the trial period for a refund. Bear in mind that you may well need to bear the cost of returning the mattress yourself. It’s also important to make sure that the mattress comes with a warranty to protect you in the event of a manufacturing fault. Many online mattress companies offer extremely generous sleep trials and warranties nowadays. Buying online gives you access to online mattress sales which may not be running in showrooms. Furthermore, if you can find the mattress you want for sale in more than one place, you can compare prices to get it for the lowest cost possible. Also, many online mattress retailers only sell their products online. This helps to reduce their overheads. Therefore, they can pass these cost reductions onto their customers in the form of lower prices. So, you may find that you can get a better mattress for your budget when you buy online. When you buy a mattress in a showroom, it can be hard to know whether to accept the price you are given or try to get it lowered. In truth, it is sometimes worth your while trying to haggle for a better price. However, many of us simply hate haggling and therefore will not end up with the best deal. However, when you buy online, what you see is what you get when it comes to prices. All you have to do is check different websites to see which is selling the mattress cheapest. There’s nothing worse than feeling under pressure to purchase a product there and then. Furthermore, this is even worse when you’re making an important purchase such as buying a mattress. The stakes are high when it comes to purchasing a new bed. The mattress you choose can improve the quality of your comfort and sleep dramatically, or cause a whole host of problems if you choose the wrong one. 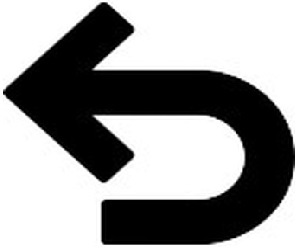 Therefore, this is not a decision you want to make in a hurry. In showrooms, sales staff are often relying on commission from their sales. Therefore, they’ll be keen to persuade you to buy the mattress that suits their commission levels best. However, when you buy online, you can take as long as you like and will experience no pressure to purchase anything other than the very best mattress for you. When you’re researching and shopping for mattresses on the internet, it’s pretty simple to compare mattresses based on the factors and features that matter to you. For example, if you’re looking for mattresses with the best breathability, you can easily check out expert reviews and articles that compare mattresses based on your chosen parameter. This isn’t so easily done in a mattress store. First of all, it can be hard to tell just from lying on a mattress in a showroom whether it will provide you with a comfortable sleep night after night. Also, as no one is trying to pressure you into buying, you can take your time to compare products at your leisure to get the very best bed (and deal) for you. 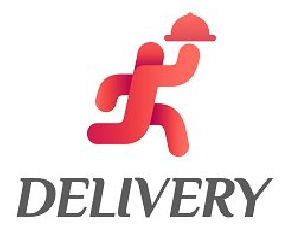 Delivery Options: Different customers will have different preferences when it comes to delivery. Many mattress companies will deliver your mattress rolled up in a box. This means that any set-up will need to be done exclusively by you. However, some companies also offer something called a ‘white glove service’. This means that their delivery personnel will perform any necessary set-up, and will also take away your existing mattress for you. While this sounds like a great idea, many people found that having their mattress delivered packed in a box was a simpler process than arranging for a white glove service. Return Policy: If you’re shopping online, then it’s especially important to make sure that your mattress comes with a sleep trial period. This means that you can return your mattress and receive a refund during this period if you’re unsatisfied. We recommend that you do not accept a sleep trial any shorter than 1 month. Most online companies allow sleep trials that are far more generous than this. Many companies will donate any returned mattresses to good causes. 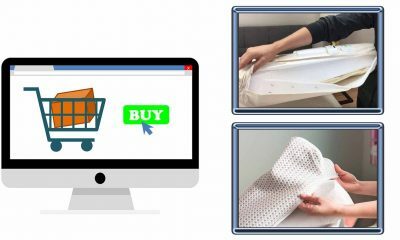 Certified Materials: Nowadays, many online mattresses are made using some form of foam. Unfortunately, these materials can emit levels of harmful chemicals used in the manufacturing process. These can be inhaled during the night and lead to various health complaints. 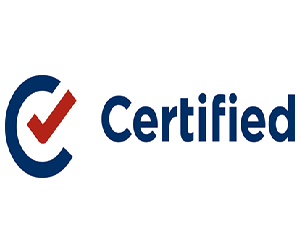 Therefore, we suggest that you look for certifications such as Certi-Pur or Greenguard Gold. 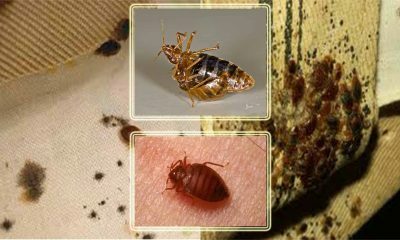 These provide assurance that the mattress has been extensively tested to make sure that it will not release any toxins into the air. It is also advisable not to buy mattresses manufactured outside the USA or Canada, as these may not be manufactured to such stringent safety standards. Your Bed’s Base: Some types of mattresses such as foam require a flat base in order to maintain their shape and to provide proper support. Some may also need a box spring. 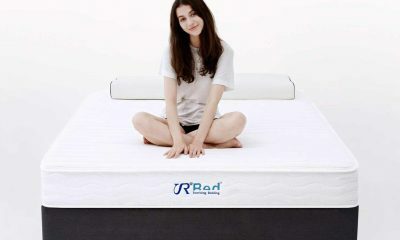 If you want to continue to use your existing base, then make sure that the mattress you are considering is compatible. Many mattress companies design their mattresses to be compatible with any bed base. Also, be sure to measure the base to ensure the mattress will definitely fit. Although most mattress sizes are standardized, this cannot be guaranteed and should be checked carefully.